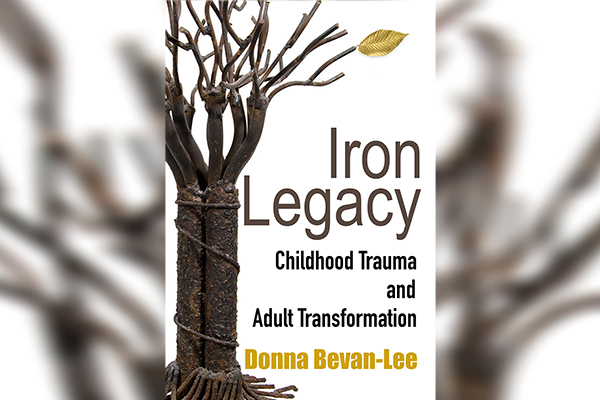 Home UncategorizedAnnouncing the publication of Iron Legacy: Childhood Trauma and Adult Transformation! Almost twenty years ago, the Adverse Childhood Experiences (ACE) study demonstrated conclusively that childhood trauma was widespread and implicated in a broad range of adult problems, from addiction to absenteeism to cancer. Neglected since Freud dismissed memories of childhood sexual abuse as fantasies, research into childhood trauma had largely consisted of clinicians reflecting on their own experiences and those of their clients, trying to devise therapeutically sound models and practices. The result was the literature of codependency, which, despite its “popular” provenance, offered real help to adults suffering the consequences of childhood trauma. What’s best in codependency literature is its mining of personal experience for a deep and intimate understanding of trauma. As a survivor of severe physical, sexual, and emotional abuse in an insular Mormon community, I have a dramatic story of suffering and transcendence to share. But I do more than just tell my story; I demonstrate how I probed it for meaning then adapted it to shape a healthier future self. Codependency writers do that kind of shaping all the time, but they don’t typically disclose it to their readers—or show them how to do it with their own stories. For me, that showing is part of the help Iron Legacy offers. To the insights of codependency theory, I add the most useful discoveries of new research on childhood trauma, especially those with practical applications, things readers can do independently to help themselves. Mindfulness has a central place, and the book contains, not just general instructions, but specific guided meditations designed for survivors of childhood trauma. Other therapeutic activities include writing, somatic exercises, and collaborative reflection, all backed by rigorous research and presented with clear instructions and ample supporting materials. Before I began writing, I studied reviews of books devoted to codependency and childhood trauma—not professional reviews but online responses from readers. I hoped to gain a sense of what readers found useful, as well as what they sought but did not find. The positive reviews yielded little new information, but the negative proved both consistent and illuminating. Many readers longed for more rigor, a sense that the writer was aware of current developments in her field and could support her conclusions with evidence. Some sought a balance of narrative and analysis, not, as one reviewer put it “experience in place of science.” Many disliked being talked down to, criticizing oversimplification and redundancy. An equal number condemned internal contradictions and leaps in logic. A few even begged for footnotes. Also lacking, for many readers, was practical help. Even positive reviews sometimes qualified their praise by noting this limitation. “Problems but no solutions,” said one, cynically adding that the only help available was “merch” from the author. “Not much to offer beyond Al-Anon and prayer,” said another. Simply advocating therapy and twelve-step programs left some readers convinced that these books functioned more as advertising than genuine self-help. Iron Legacy offers thoughtful, full-hearted help for survivors. Check the book out on its Amazon page. Previous Previous post: My new book needs a blurb! Wonderful! Just downloaded to my kindle. I read the excerpt on the ACEs Connection website and am intrigued. I work as a school social worker and am looking for resources to use to increase trauma sensitivity within our district. Thank you for reading! Iron Legacy could be helpful to you in several ways, not least by explaining clearly how thoughts, feeling, and behavior are shaped by ACEs (and maladaptive but reasonable responses to them). But, though I spend considerable time talking about the social dimensions of childhood trauma and the history of ACE-related research in the US, my book is ultimately aimed at survivors seeking to understand and cope with their own histories. I hope it will prove useful to people in many different fields, but I do want to be clear about its orientation. Again, thanks for your interest–and for the vital work you do! Iron Legacy is a gift to anyone who experienced abandonment, abuse or neglect during their childhood. Childhood trauma experiences become a part of who we are, how we see the world and slowly replace the joy of living with feelings of hopelessness, confusion and despair. Donna Bevan-Lee has written a book that can give trauma survivors hope. This is first step towards healing the wounds and scars from trauma;hope. Hope leads to courage. Iron Legacy is filled with personal stories that I believe will foster trust. Hope, courage and trust are tha grass roots of healing and create the necessary energy to hold trauma survivors to begin the journey of healing and learning how to take their lives back.